It’s been a big day for the Epic Games Store. During its GDC keynote, Epic announced a boatload of new exclusives (including Detroit: Become An Epic Games Store Exclusive) and a deal with Humble. 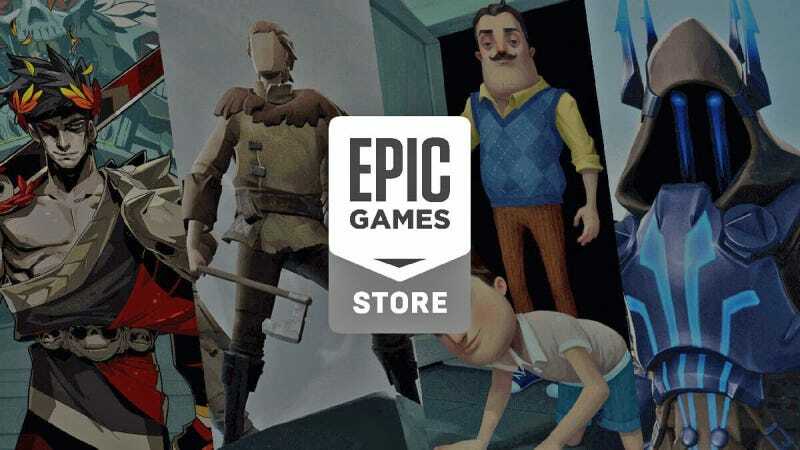 Momentum appears to be on the store’s side, with Epic now touting strong early sales and a more curated approach than that of its main competitor, Steam. Love or hate the current barebones Epic store, you can’t deny that a) it’s making waves, and b) Epic execs sure have been talking about those waves. Today, during the keynote, Epic Games Store head Steve Allison boasted that Metro Exodus—which became a last-second Epic Games Store exclusive, prompting an unusually pointed message from Valve and review bombs from Steam users—sold 2.5 times as many copies at launch as its predecessor, Metro: Last Light, did on Steam. “It’s really about your games, and not about the store you sell it on,” said Allison. This, in conjunction with Epic’s 88 percent revenue share (as opposed to Steam’s default 70 percent), will likely make for intriguing news to game makers worried about backlash and a potential loss of exposure that, some feared, could result from moving from Steam to the Epic Games Store. That said, Epic did not provide actual sales numbers, and it’s worth noting that Last Light came out in 2013, during a different era of PC gaming. On top of that, Exodus was a much larger production and got a marketing push from its publisher to match. In contrast, Steam has adopted an (almost) anything-goes policy over the past year, with exceptions stemming from games that are “illegal, or straight up trolling” or, evidently, people getting really, really mad at Valve. The two companies are increasingly opposed in their approaches, recently coming to figurative blows over usage of users’ data, as well.